Sham Idrees Finally Apologizes to Ducky Bhai! Samsung Galaxy Fold Screens are Breaking & Users are Freaking Out! WhatsApp Might Restrict Users from Taking Screenshots! Emmanuel Emenike and Emmanuel Adebayor, famous African football players, have converted to Islam. 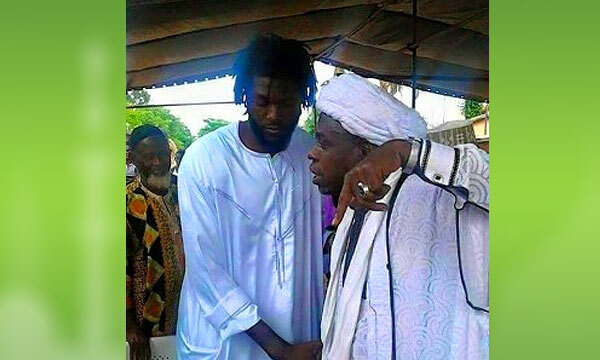 Adebayor, the Togolese Football idol, took the Shahada [the core belief of Muslims that Allah is one and the Prophet Muhammad (PBUH) is His messenger] in a video on Sunday. Former Pakistan off-spinner Saqlain Mushtaq and the inventor of ‘Doosra’ (a particular type of delivery by an off-spin bowler in the sport of cricket) also congratulated Adebayor on his conversion. The footballer was surrounded by Muslim leaders and supporters who were there to testify the conversion. The ceremony is thought to have been held in Togo, Adebayor’s adoptive country. Similarly, Super Eagles striker, Emenike, revealed his conversion during a discussion with the coach of his club Vitor Pereira, Daily Post reported. When he missed the team breakfast on Saturday, his coach called him up to inquire about his whereabouts and he, in reply, confessed the conversion.